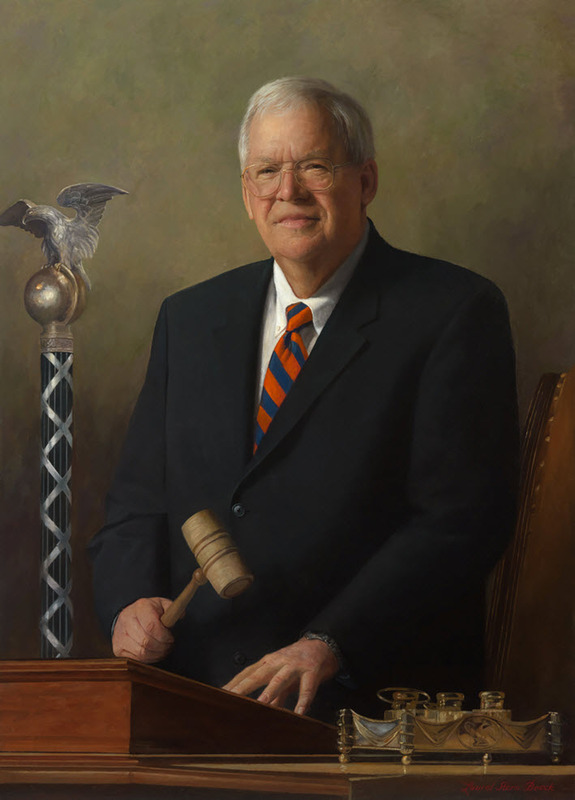 "SpeakerHastert" by Laurel Boeck - http://bioguide.congress.gov/scripts/biodisplay.pl?index=h000323. Licensed under Public domain via Wikimedia Commons. Let’s assume that Republicans take the Senate and keep the House in this year’s midterms. 1. Underpromise and overdeliver: That was the mantra of my old boss, former Speaker Denny Hastert (R-Ill.). The American people hate to be lied to, and they hate broken promises. The coach survived as Speaker for four complete terms because he kept expectations in check and consistently delivered for his conference. Conversely, while the Contract with America gets a lot of ink in the history books, it essentially was an exercise in overpromising and underdelivering. The result? Bill Clinton easily won reelection in 1996. 2. Keep your agenda simple: When the Democrats swept into power in George W. Bush’s second midterm, they had the Six of ’06. The Republican Contract had 10 items. It’s better to keep it even simpler than that. When Hastert and Sen. Trent Lott (R-Miss.) picked up the pieces after impeachment in 1999, they promised to “Secure America’s Future” with only four items (education, national security, economic security and healthcare). Ronald Reagan had only two big items: winning the Cold War and creating jobs. 3. Don’t overload reconciliation: When I talk to Republicans, they believe the only way they can get anything done is to stick it on the budget device that requires only 51 votes to pass. That might help in the short term to score some political points, but what happens after the president vetoes the bill? Reconciliation works well when you win the White House, but not so well when you don’t. 4. Get your work done: The appropriations process is the meat and potatoes of the legislative body. Hastert insisted that Republicans get the budget done early and then get spending bills completed, especially in his first term as Speaker. I think it is mistake to get rid of congressional-directed spending, not only from the constitutional perspective but also because it keeps every member in the game, trying to get something accomplished for their district. In any event, it is important that the Senate follow suit and get the spending bills done, because that takes power from the hands of the president and keeps it in the hands of the legislative branch. 5. Remember that the last election wasn’t about you: Midterm elections are all about the president — not about the Congress. When Democrats did better than expected in 1998, it was because Clinton was popular. In 1994, 2006 and 2010, it was because the president was unpopular. 2014 will be another one of those negative referendums on the White House. That doesn’t mean Republicans are suddenly popular. They are not. As a matter of fact, the GOP is roundly disliked. The party should take these election results with a heavy dose of humility. 6. Try to expand your base: In big electoral midterm triumphs, it is also fashionable to think your political base is enough to win the next election. It’s not. Republicans should take some chances to make their brand more popular with non-Republicans. They should pass immigration reform, pronto. They should extend the Voting Rights Act. They should consider making birth control over the counter. 7. President Obama is no longer the enemy: Republicans will gain more for their brand by proving they can govern than they will in continuing to oppose the president. Hastert worked with Clinton on spending bills and on the New Markets Initiative and, in the process, restored the Republican brand to such an extent the party could win the White House in 2000. For Republicans to be able to win back the White House in 2016, they have to prove they can run the country in 2014 — and they can only do that with the cooperation of President Obama.